With the November election in the final stretch, it’s time to get down to some really serious business — running for local office! 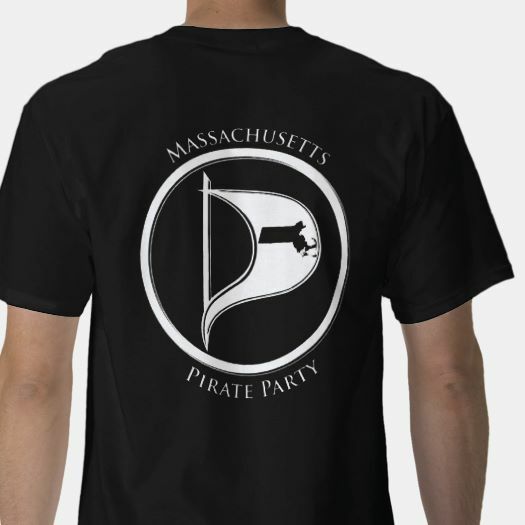 As part of the Massachusetts Pirate Party’s “run local” initiative, on Saturday November 12th we’re organizing a series of workshops on how to run in a local election. We’re talking town meetings, city councils, and school committees. It doesn’t take a fortune to run, you don’t need an army of volunteers, and the work you do can make a real difference in your community. Tell us if you plan to attend. If you’ve ever considered running for local office, then this workshop is for you — even if you’re still on the fence. We’ll talk about logistics (filing paperwork and gathering signatures), ideas for running small but effective campaigns, and what happens after you’ve won the election. 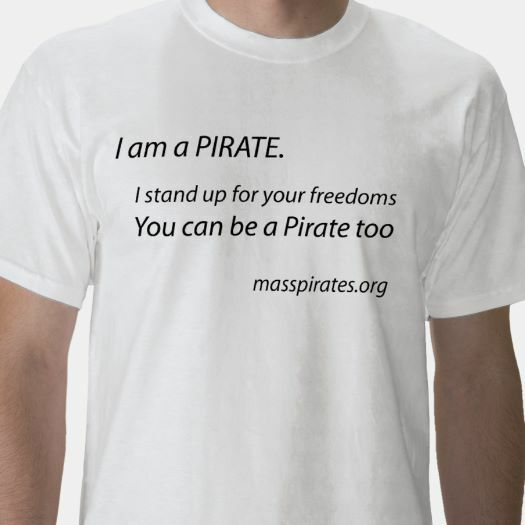 The schedule is: What you can do in local government; Running for town meeting; Running for other town and city offices; Discussion on what a local Pirate platform should look like. People who’ve served in local office are also encouraged to attend, regardless of party affiliation. We hope you’ll share your experiences, and the things you learned while running. This event will be held in the Mandela Room of the Democracy Center, 45 Mount Auburn St., Harvard Square, Cambridge, from 1:00 – 4:00pm on Saturday November 12th. The Democracy Center is an awesome place, but unfortunately it is not wheelchair accessible. We would appreciate it if you signed up so we can plan accordingly. Thanks! Aaron James, our candidate for State Representative in the 27th Middlesex, was a guest on “The Young Jurks” live stream last Saturday. Alex Mendez, an independent candidate running for State Senate in the Norfolk-Plymouth District, also appeared. You can listen to the recording or download the mp3. “The Young Jurks” airs weekly on Saturday from 6-7:30pm on WEMF. Aaron and his team are going door-to-door, especially Thursday/Saturdays, and need fellow Pirates to help with their time or money. If you can help Aaron, please reach out to his campaign at his website, by email, Facebook or Twitter. Thanks! Fellow Pirate and Fight for the Future organizer, Joe Thornton, is organizing an anti-TPP protest in Lynn, this Tuesday (10/25), at an event that US Rep. Moulton is throwing. They will be outside protesting, holding signs, and handing out flyers. Moulton has yet to take a stance on the TPP. With the Nov. lame duck session approaching, we need to act now to convince Moulton to vote against it before it is too late. Where: Outside Bent Water Brewing Company, 180 Commercial St, Unit 18, Lynn, MA When: Tuesday 10/25, at 6pm. You can reach Joe at 781-910-4934. The monthly Somerville Cryptoparty is this 6-9pm this Wednesday (always the last Wednesday of the month). It has moved to The Sprouts at 339R Summer St, Somerville. The Sprouts is where we had our first cryptoparty four years ago. A big thanks to Halley for getting the Somerville Cryptoparties off the ground and keeping them going and to Parts and Crafts, a youth makerspace and community workshop, for hosting them for over a year. Halley is helping with the Day in Solidarity With African People that will be this Monday, October 24th, 7-9pm @ the Community Church of Boston, 565 Boylston St., Boston MA 02116. Parts and Crafts is running a very cool looking kickstarter and would appreciate your help. Aaron James, our candidate for State Representative in the 27th Middlesex, will be once again be a guest on “The Young Jurks” live stream, tonight (Saturday). The October 22nd podcast will be a chance for MA voters to hear Aaron discuss his campaign’s signature issues with local advocates. Alex Mendez, an independent candidate running for State Senate in the Norfolk-Plymouth District, will also appear. “The Young Jurks” airs a weekly Saturday from 6-7:30pm on WEMF. You can listen to it live. Aaron and his team are going door-to-door, especially Thursday/Saturdays, and need fellow Pirates to help with their time or money. If you can help Aaron, please reach out to his campaign at his website, by email, Facebook or Twitter. Thanks! There will be two cryptoparties this week that will be good opportunities to learn to protect your privacy online: Boston Public Library cryptoparty on Saturday, October 22nd from 1-4pm. It will be at the Grove Hall Branch, 41 Geneva Avenue, Dorchester; The monthly Somerville Cryptoparty on the last Wednesday of the month from 6-9pm at The Sprouts at 339R Summer St, Somerville; We also offer computer security trainings for communities and organization on topics such as: encrypting your email; using Tor to browse anonymously using Virtual Private Networks using encrypted chatting tools Email us at info@masspirates.org if you are interested. This is John. He didn’t encrypt the text of his email using GnuPGP. He didn’t insist that all of the email sent to him be encrypted. He didn’t use secure communications free from malicious hackers, the NSA or friends of the NSA, such as Yahoo. Now his emails are up on Wikileaks. John is embarrassed and his friend Hillary has to answer lots of questions. Don’t be like John. Learn to encrypt your emails. Everyone needs to know their private communications are actually private. Private from abusive ex-lovers, phishers, malicious hackers or the NSA. There are many ways you can learn to protect your email and your privacy on-line: Tutorials from the Free Software Foundation and the Electronic Frontier Foundation; Attend the Boston Public Library cryptoparty on October 22nd from 1-4pm. It will be at their Grove Hall Branch, 41 Geneva Avenue, Dorchester; The monthly Somerville Cryptoparty on the last Wednesday of the month at The Sprouts at 339R Summer St, Somerville; Ask questions at our cryptoparty mailing list; Email us at info@masspirates.org to setup a cryptoparty for your organization, neighborhood or group of friends. 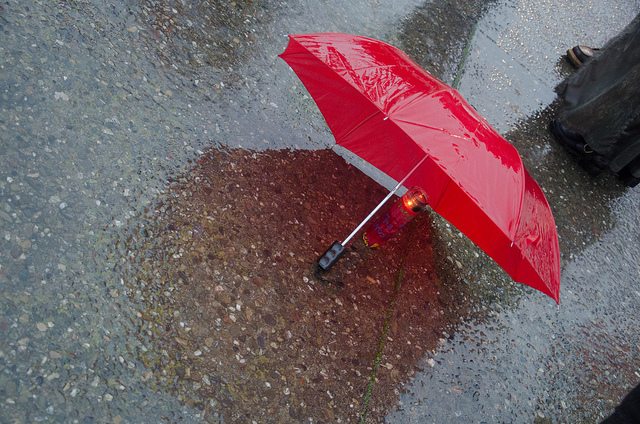 Protect yourself. Be sure you aren’t the next John. Image of John Podesta from Wikipedia licensed under the Creative CommonsAttribution 2.0 Generic license. Image of email from Wikileaks. Fight for the Future’s Rock Against the TPP Concert is this Friday, October 7th. It will be a wonderful opportunity to get attention for the fight against the Trans-Pacific Partnership (TPP), Transatlantic Trade and Investment Partnership (TTIP), and the Trade in Services Agreement (TiSA). Tickets are free, but they are going fast. The concert features: Mirah, Debo Band, Taina Asili y La Banda Rebelde, Foundation Movement, bell’s roar, + more. It will be at Spontaneous Celebrations, 45 Danforth Street, Jamaica Plain (Boston) and will run from 6pm to 10pm. You need to get your free tickets in advance. You can also invite your friends on Facebook, but be sure to get your free tickets. Hope you can make it and please spread the word about it.